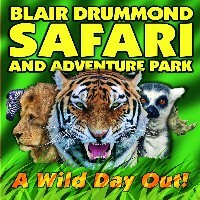 A world of fun filled adventure suitable for all ages situated just outside Stirling. The park is open daily 10:00 am - 5:30 pm. Last admission 4:30 pm.